In North Carolina, robbery charges are felonies. Robbery charges are governed by North Carolina General Statutes. There are two main types of robbery charges: common law robbery and robbery with a dangerous weapon. While both of these robbery charges are felonious, robbery with a dangerous weapon is quite a bit more serious than common law robbery. The main difference in the two types of robbery charges lies in the name – one involves a dangerous weapon and one does not. In North Carolina, common law robbery is a Class G felony. This means that it is punishable by up to 47 months in prison. Essentially, common law robbery is the taking of the property of another person by using force or threat of force. 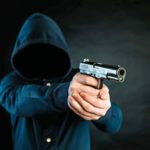 If the robbery involves a dangerous weapon, a person will no longer be facing common law robbery charges in North Carolina. They will not be facing “robbery with a dangerous weapon” charges. In North Carolina, robbery with a dangerous weapon is a Class D felony. This means that it is punishable by up to 204 months in prison. Aiding or abetting this crime is also a Class D felony. Essentially, this robbery with a dangerous weapon is common law robbery + the use or threatened use of a dangerous weapon. From another person, business, residence, etc. It does not matter if the crime happens at day or at night. Around 2007, the NC Supreme Court found that hands or hands or feet by themselves do not constitute a dangerous weapon for purposes of the charge of robbery with a dangerous weapon. If you are facing robbery charges in North Carolina, you should contact a criminal defense attorney immediately.